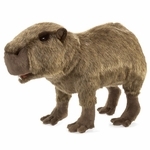 Folkmanis 3098 - Resembling a cross between a guinea pig and a hippo, the Folkmanis® CAPYBARA puppet is a curiously cuddly creature! 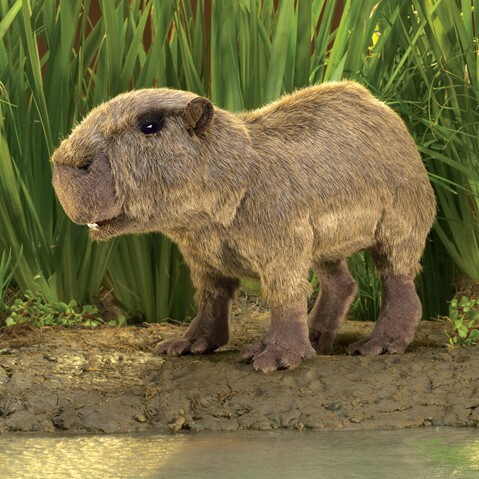 Animate the mouth and forelegs of this rotund rodent to imagine life in the wild. Movable mouth and forelegs. Puppet measures 18” x 7” x 9”.